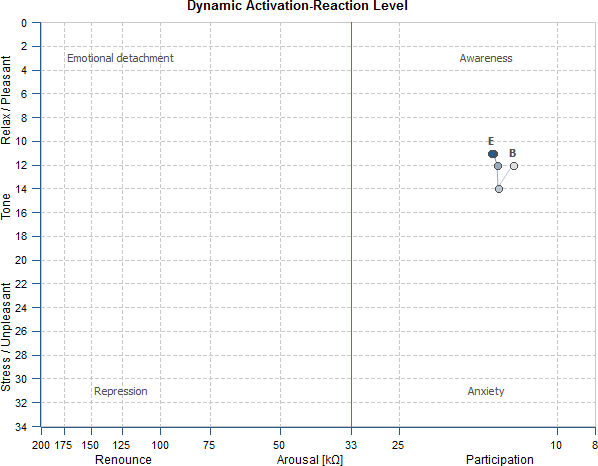 The chronic inflammatory processes analysis and the activation state of the stress reaction system. 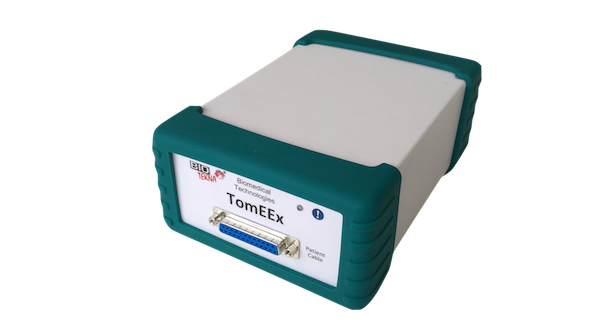 The TomEEx (Electrolytic Extracellular Tomography) is a two-dimensional analysis device of chronic inflammatory processes, their entities and localisation. It also analyses the activation state of the stress reaction system, performing extracellular bio-impedance tomographic measurements cycles; in this way the instrument helps the differential diagnosis process for diseases, disorders and pathologies of the above mentioned clinic investigation areas. 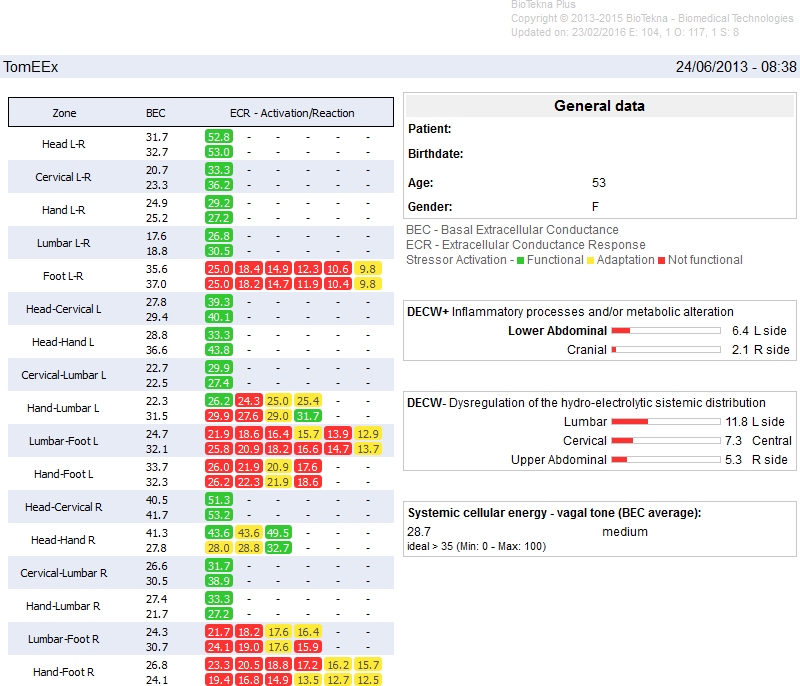 The measurement procedure is able to highlight in a few minutes the regions characterized by the bioelectrical profiles associated with an inflammatory state. 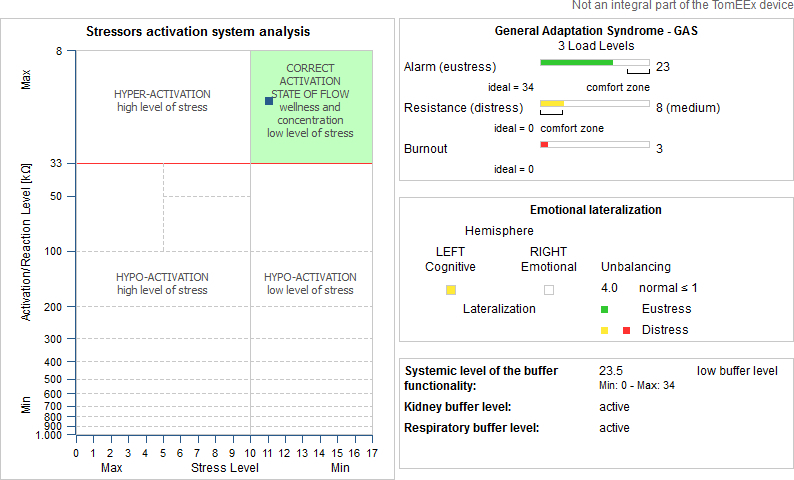 At the same time, in order to analyze the response capacity and adaptation to stress, TomEEx applies specific low frequency and intensities stimulations comparable to the stressor agents. 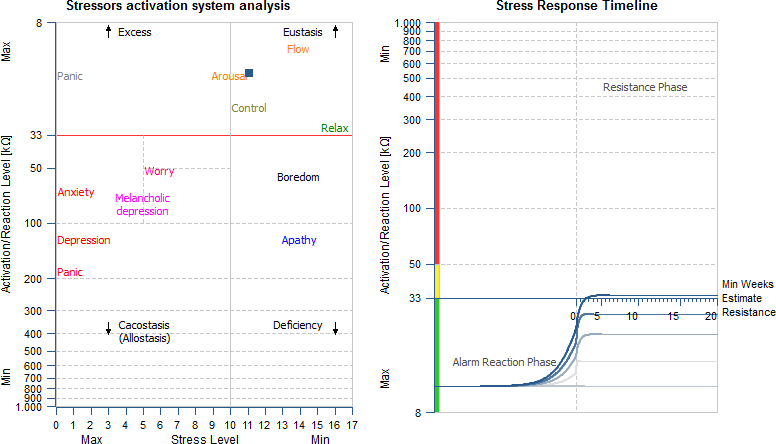 The TomEEx can be used in combination with other advanced applications available on the platform integrated BioTekna Plus, which allow you to expand the dynamic analysis capabilities of the system response to chronic stress.